రామ్ చరణ్ కోసం ‘జెర్సీ’ డైరెక్టర్ ? 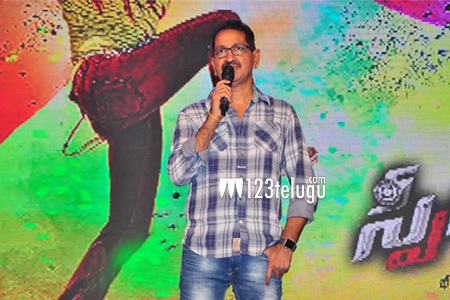 The audio launch of Bheemineni Srinivas’s Speedunnodu was a grand affair yesterday. Some top stars attended the event and made it a huge success. Speaking at the launch, director Bheeineni revealed that he was working on the script of this Tamil remake from the past three years along with his writer Ravi Varma. Bellamkonda Srinivas plays the lead role in this film which has Sonarika as the female lead. V V Vinayak along with some top actress from the industry attended this event and made it a grand success. The film is up for a February 5th release.